I found this funny. As an Anglophile this is a weird time for me because of my love for England. I love the Queen and a lot of British stuff. There are some days I wish we could go crawling back…then there are some great things about America that make this place special too. I am a big fan of things Anglo. But I have respect for things Irish. 127 Facebook shares! How exciting is that! See, here is your “history” post that caught my eye last night. I know Nicholas Rossi. I’m so glad we are in the same community. Its OK, America; you’re allowed one mistake. This is a favorite post this time of year. 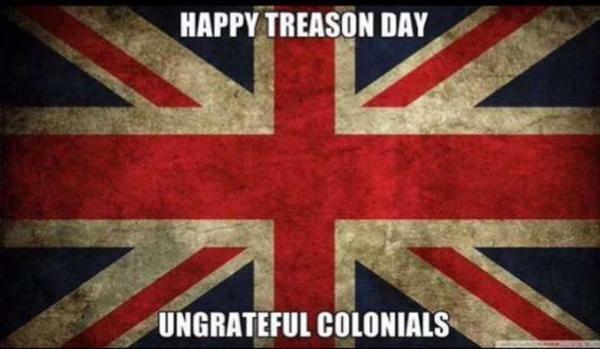 The colonies are rowdy this time of year eh? I wonder if they would take us? !